General Envelope has been a trusted name serving our community since 1985. For more than 30 years we've offered the widest range of forms, envelopes, and letterhead in the area. We're your go-to for converting, manufacturing, and printing envelopes. We do all of our printing in-house, and offer many different sizes, styles, stocks, inks, security tints, and sealing processes. We offer offset and four-color digital printing, long and short runs, fast turnaround, and competitive pricing! Our Halm Superjet presses are capable of printing up to 60,000 envelopes per hour, and the quality and consistency of our product is guaranteed. Make a great first impression or continue to impress with our product! As a green printing company, we work hard to limit our carbon footprint by using soy-based inks and will print your job on recycled material when requested. We strive for complete satisfaction- we're not happy until you're happy. If you look good then we look good- that's how we treat every job we touch! We cut costs, not corners! Request your free online quote today! General Envelope was founded in 1985 by Jack's father, Charles Biondo. Jack started working with the company in 1988. Jack and his sister, Mary Sybert, took over the family business when their father retired in 1992. Jack has been running General Envelope on his own since his sister retired in 2014. In May 2015, Jack entered into a partnership with the Production Facility, located inside the Strategic Factory building. 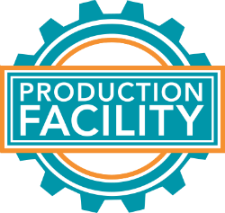 The Production Facility is the trade-only branch of Strategic Factory and enables General Envelope to continue serving its clients in the same trade-only manner as it has since 1985. "I want to assure my clients that this is a partnership, not an acquisition. I needed to make General Envelope stronger, and this was a mutually beneficial opportunity." "This move was made to enable us to grow stronger with our current clients," Jack said. "We will continue to be the industry leaders with all things envelopes but can assist them with other product lines that abound and flourish here at the Strategic Factory. We can do everything we did before the move and then some. I am delighted that my staff has remained intact at this new location. 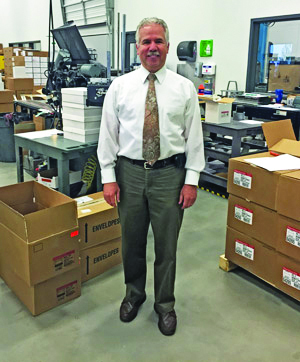 We bring 30 years of envelope and print experience to the Strategic Factory and I am most excited and energized that together we will be able to serve the trade-only community for the next 30 years, and beyond."